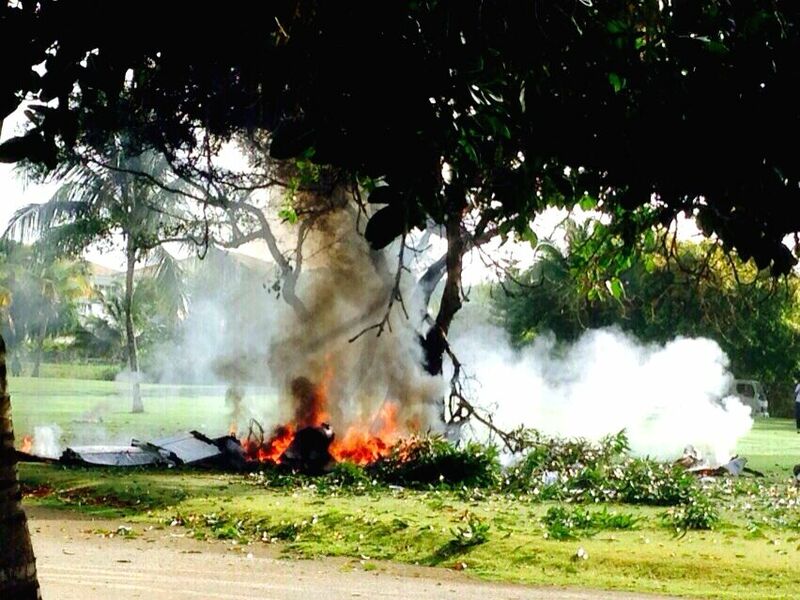 PUNTA CANA, April 21, 2015 - Image provided by elinformador.net, taken with a mobile phone, of debris burning in the place of the accident of a plane, in Punta Cana, Dominican Republic, on April 20, 2015. Four Spanish and two British tourists died in the accident of a plane that occurred on Monday in Dominican Republic, local authorities confirmed. The accident happened after 08:00, local hour, when the type PA-32 plane, registration number HI-957, precipitated to the ground and caught fire, close to a residential zone of the touristic locality of Punta Cana, leaving no survivors.